I get asked this frequently – what works with SEO? And the flip side to that coin, around what to avoid. 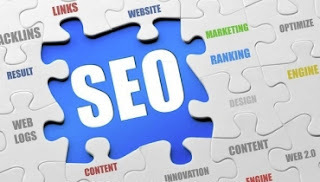 Before we start looking at some of these factors, it’s very important that you remember that for any given search algorithm, there are hundreds (or more) of factors at play to determine rankings. No list can encompass them all, partly because of readability, but mostly because it’s proprietary information. Additionally, factors can be relative. If factor A is at a certain level, then factors B and C contribute accordingly. If factor A’s value drops or increases, that causes changes to how the signals from B and C are integrated and thus the final result changes – sometimes minutely, sometimes dramatically. It's a bit like a manual transmission in a car. You can travel at 40 mph using 1st gear, 2nd gear or 3rd. Still the same 40 mph, but due to the different gear ratios engaged with each individual selection (1st, 2nd or 3rd gear), the engine speed will vary, while maintaining that 40 mph. In fact, it’s worth noting that instead of chasing SEO at the on page and technical levels, many would be better served by trying to influence people to impact some of those important signals and factors. Rather than try to guess at information which is not ever shared, turning to working on influencing people and developing a repeatable pattern that works, is often a better bet. If you can influence visitors to your site to share a link or tweet about your product by placing relevant social sharing options in the best locations (which you determine through testing, not guessing), you not only get the value of their efforts and actions directly (their friends seeing it and clicking through to you), but you also reap the rewards of how those signals impact the search algorithms. In the end, you have discovered a process that’s repeatable as well – if you post a positive, funny article, for example, more people share it. The process then becomes: write positive, funny article, post, use optimized social sharing option placements. And that is infinitely easier to figure out than to try to guess what’s going on inside an engine’s algorithm. But what things matter? Well, let’s look at the common things, many of which are often overlooked or shortcuts taken. These list are, as suggested at the start of this article, not full lists. These lists are also not in any particular order, as what matters in one instance will differ from other instances. Some items will apply to you, some might not. Some you may know already, others you may need to research to learn more about. And taking something like H1 tags from the “pay attention to list” and saying “Yeah, we have those” does not mean you’re done. You have to understand why an H1 tag is important to a reader, and earn how to write optimized content for them. Just “having” a tag in place doesn’t mean yours are doing everything they can for you. These lists can serve as a starting point for conversations around the work you’re planning to do and the investments you’ll make in your technologies and businesses.